Earth Day is April 22. No matter how young or old your child or children, Earth Day activities are a good way to focus on the natural world around us. There are many fun ways to do this. Choose or adapt some of the activities below to fit your family. Here are just a few ideas to consider. Whether it is a garden or a tree, there's no better way to experience nature than to beautify the world around us with plants. Plant a garden or just love on an existing one. Perhaps there is an older neighbor that would appreciate having a garden weeded that your family could volunteer to tend for them. Potted plants are also a good option and add the benefit of bringing some nature inside. You can even create a miniature garden in a flower-pot by picking different small plants and arranging them garden style. 2. Pick up and clean up. Teach your kids to care for their surroundings by picking up trash around the neighborhood, at the park, or along a not-too-busy road. You can take any bottles and cans you collect to the recycling center. Find ways to recycle or reuse things around your house. Glass paint or glitter on old jars make interesting ways to store small items. Soda bottles and wooden spoons can make a cool bird feeder. You can find instructions to create here. Fill the bottle with seeds and hang it someplace where your family can watch the birds enjoy. 4. Take a nature walk. On your walk, encourage your child to notice all of the wonderful things they see along the way. Younger children may find it fun to draw a picture of something along the way. You won't have to go far to find a bit of nature. Birds and flowers are everywhere! 5. Do an earth-related art project. The sky is the limit for this one. You can use any material– new or recycled. Use a picture of the Earth for inspiration or something in nature. 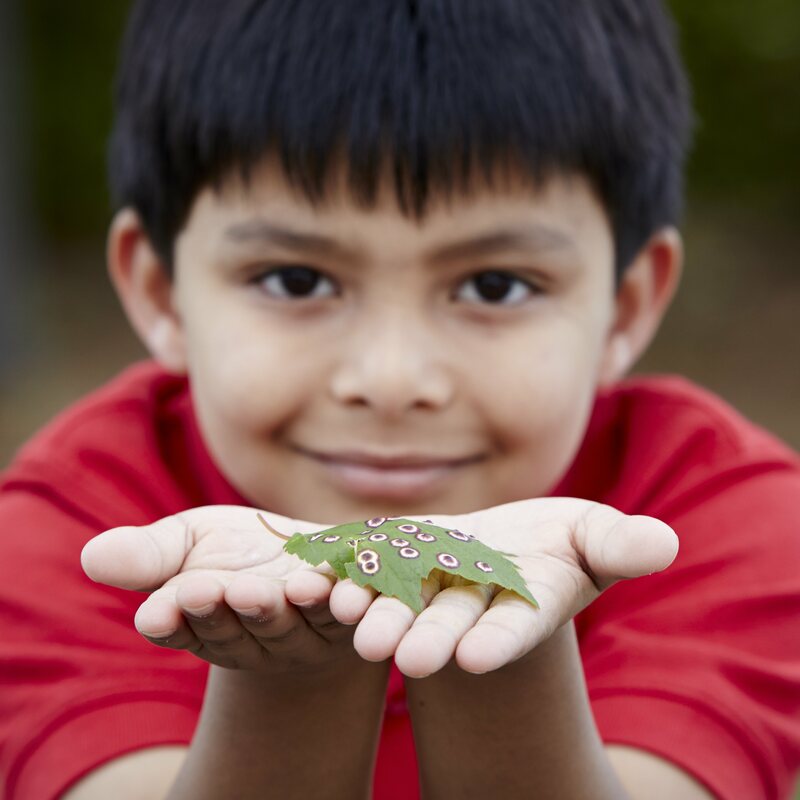 Have your kids think about and discuss the beauty and importance of maintaining and appreciating nature. Click here for some easy craft ideas. 6. Make something natural or cook something using organic ingredients. You can use sunlight to make iced tea or make your dinner over a fire pit (hot dogs and marshmallows are kid approved). You could also choose an organic recipe and try something new. Explain the difference to your child. If you want a hands-on activity in the kitchen, you can make sugar cookies or cupcakes that look like the earth or grab some pudding, cookie crumbs, and gummy worms to make a fun "play in the dirt" dessert. If you're celebrating in the Atlanta area, there are several events around town that are family friendly. Take your children to Piedmont Park's Earth Day Celebration, Georgia Tech's 20th Annual Earth Day Festival, or check out some of these local volunteer opportunities. These are just a few ideas. Choose a few, a bunch, or be creative and come up with some others, but have fun learning more bout our earth and celebrating Earth Day! Explore Greater Atlanta Christian School's website to learn more about our academic programs and the educational experience we can offer your child. Then, schedule a Campus Tour to see our students and teachers in action!